Medical alert systems are a great way for seniors living independently and their families to feel secure at all times. With monthly and annual service plans the companies who provide this service often form a long term relationship with a senior and their family to make sure everyone feels safe, and connected. We wrote an article “Medical Alert Systems: Seniors Need A Way To Connect To Healthcare And Family” looking into the usefulness of medical alert systems in providing home health care seniors need to be autonomous. We received some positive feedback and wanted to layout more information on current medical alert systems. Here we show you the the top medical alert systems and give you our choice for the best medical alert system for seniors living at home alone. Alert1, founded in 1992, has been an industry leader in medical alert systems for over 25 years. The system provides 24/7 medical attention instantly with the click of a button on the device hub, or wearable neck or wrist device. While Alert1 has been around for a long time and has experience in the industry, it appears its lacking on the customer satisfaction receiving only 2.5 starts on consumer affairs reports. Some common complaints are long customer service waits, non-transparent pricing, and fees for returns. LifeFone’s medical alert systems provide independence, security and fast response at the press of a button. LifeFone has been an innovator in providing security and peace of mind to thousands of people throughout the United States since 1976 giving individuals instant access to caring, compassionate help 24 hours a day, every day of the year. Subscribers can directly contact our specially trained Emergency Care Specialists with the simple push of a button. LifeFone offers services that provides protection at home and on the go. For just $5-10 more per month you can add automatic fall detection. Each system comes with your choice of a portable bracelet or pendant and spouses are protected for free with basic service. LifeFone’s at home systems have a service range of 1300 feet providing coverage in and around your home. LifeFone’s on the go systems provide protection anywhere you go in the US. 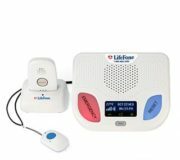 As a leading provider of Medical Alert Systems, LifeFone is recommended by healthcare providers throughout North America. These providers include: doctors, hospitals, area agencies on aging, home health care providers, social workers and geriatric care managers. LifeFone is an integral part of their overall care program. LifeFone is rated A+ rating with the Better Business Bureau and is recognized by leading national health and consumer organizations. MobileHelp is a simple to use and setup, small portable mobile medical alert system that works anywhere, not just your home. Instantly be connected to an emergency operator who knows exactly who you are, exactly where you are, and is ready send you the trained home health care seniors need. MobileHelp is a highly popular and recommended medical alert system which manufacturers it’s own products. Instantly be connected to an emergency operator who knows exactly who you are, exactly where you are, and is ready send the help you need. Boasting a national network, fantastic customer service reviews, and some of the best prices for advanced plans, MobileHelp has established itself as a leader despite being a relatively newer company. 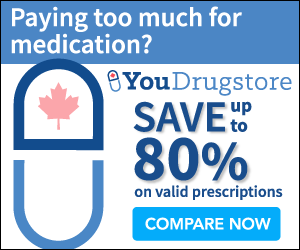 LifeStation is highly rated by consumers as providing dependable and reliable service. Unfortunately, they only offer In-Home service, so if you are looking for mobile access on the go this is not the product for you. Despite this they excel at emergency response with a proven track record and 4.5 stars average review on consumer affairs. 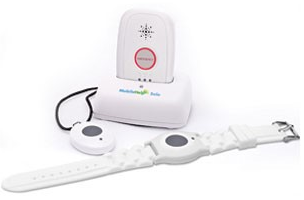 We chose MobileHelp as the best medical alert system for seniors due to its low price when you want an in-home system and with mobile GPS that works anywhere, as well as the option to include automatic fall detection. While the other medical alert systems have many of these features too MobileHelp has the most attractive package prices. Also MobileHelp has the highest consumer affairs rating in the category with a 4.7/5 out of 106 votes. This smashes the consumer affairs ratings of the other medical alert systems and gives us confidence in MobileHelp’s ability to satisfy their customers. If you have any questions about our recommendations feel free to leave a comment below and we will get back to you right away! Thank you for writing this post. I have not heard of any of these products before. I was just wondering if the $30 was a one off fee or a monthly fee? Also do you have to be wearing the device for the automatic fall detection to be activated? I just couldn’t tell the kilo weighing of this product. Do you know it? My grandmother is old and frail and heavy products just won’t work well for her. Thank you. It’s a $30 monthly fee for the service of emergency response care to show up when the medical alert is activated. This has unlimited uses for the billing period for all the devices shown. They have annual packages and subscriptions as well. Yes, the automatic fall detection will only work when somebody is wearing the device. But don’t worry they are designed for seniors and are extremely light weight and comfortable. I didn’t read any reviews complaining about the weight or comfort of the device. My recommendation the ‘MobileHelp’ device has the newest, sleekest design focusing on comfort improvements over other manufacturers. This is an excellent post. I appreciate the information that you gave, and the time effort compiling this post. It’s very well done. What medical system do you recommend? There are several to choose from, and I’m looking for just a simple one. I am kinda a newbie and don’t know which one would be just the basic. I would definitely recommend the Mobile Help. It is new, simple to use, attractive, and well reviewed by consumers. It is hard to choose based on price since they are all basically the same price but MobileHelp has better discounts for it’s packages/annual subsriptions as well. My second choice would be the Alert1 since it also has decent reviews (but not as good) and has a proven track record in the industry. Fibromyalgis, arthritis, knee pain, insomnia, depression, anxiety,neck nerves, back nerves and more. is there a Medical Alert System For epileptic seizures? Yes there are some medical alert systems specifically oriented towards epilepsy which can sense seizures. 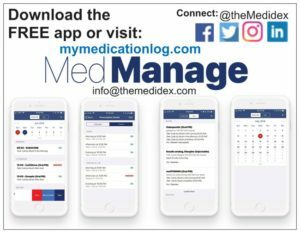 Check out this one: https://www.americanmedical-id.com/seizure-disorder but there are others available as well.